This week on the show Kevin and I speculate what digital assets GE will sell and discuss the sad bankruptcy of French smart home company Sen.se. After hitting the sad news, we talked about the latest HomePod feature expected in iOS 12 and the fact that Apple didn’t say much about HomePod in its latest financial results call. 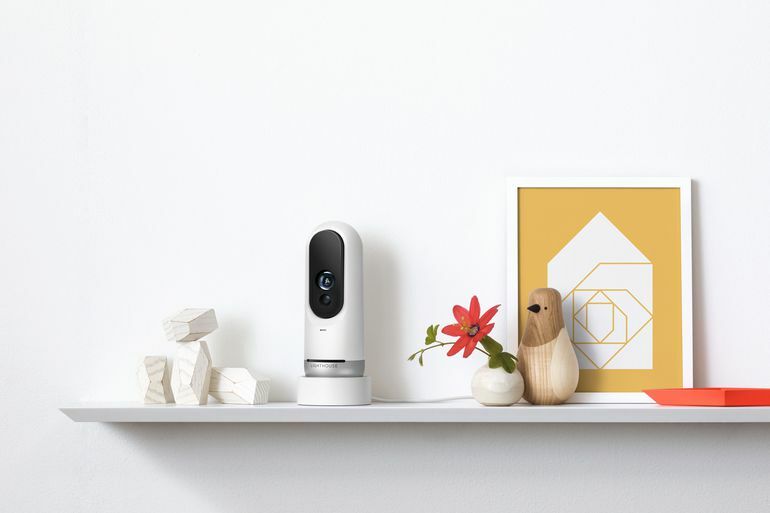 We shared a new smart home device for dedicated DIYers from Machinon, discussed Control4’s new intercom function and Lenovo’s application for the FCC to test a smart bulb. 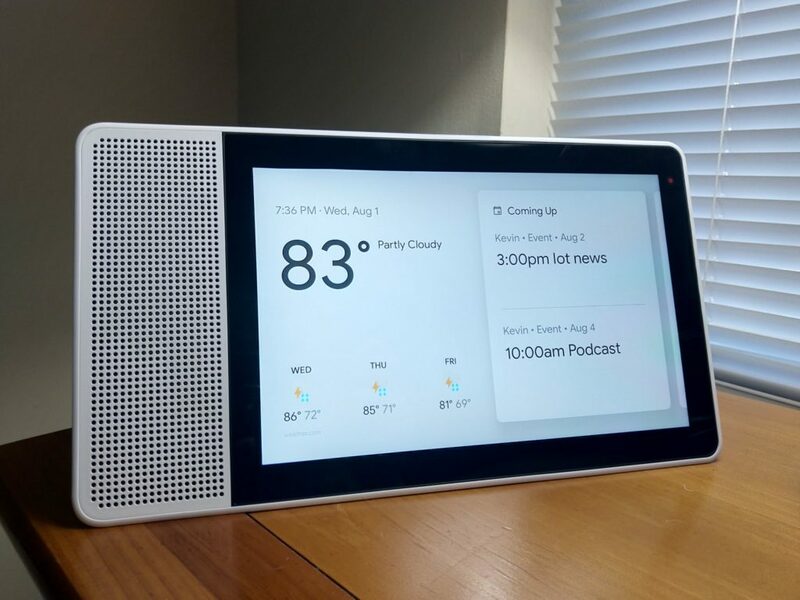 Kevin shared his initial thoughts on Lenovo’s Smart Display for Google Assistant and a pro tip for anyone with a connected home. 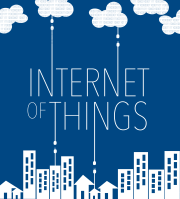 We share another ridiculous IoT idea for the week and answer a question about connecting Wyze, IFTTT and SmartThings to turn on a light. Kevin’s 10-inch Lenovo Smart Display can play YouTube videos, Netflix and images from his Nest cameras. Image by K. Tofel. This week’s guest is Chris Smith, vice president of service innovation at Otis Elevator Company. He talks about how Otis connects its elevators, the architecture, and most importantly what it learned in trying to use data to predict failures. In addition to his practical knowledge he also answers everyone’s big question: Does the door close button on an elevator actually work? Enjoy the show. Is GE’s Predix for sale? And who would buy it? The Lenovo Smart Display is really nice! What did you buy for Prime Day this week? This week we tackle if Amazon’s new program to help folks install Alexa-enabled devices is a big deal and Apple’s retail plans for HomeKit. We also discuss fashion-forward wearables, and a new startup called Nodle that’s trying to create crowdsourced Bluetooth-based IoT networks. We have a lot of data on voice thanks to IFTTT and spent some time discussing a friendly French IoT company. Lighthouse combines machine learning, natural language processing and computer vision to create an assistant for your home that can see, hear and speak. Then I chat with Alex Teichman about Lighthouse, his new startup that marries computer vision with a voice-based personal assistant to make your life easier. For the nerds out there, we also discuss the category of sensors available for 3-D sensing and how they differ. This matters for Lighthouse, self-driving cars and maybe even for the next-generation iPhone. Get ready to cover everything from recurrent neural networks to frickin’ lasers! Do you need a Mother? It’s on sale. Can Apple build the right showroom to sell the smart home?